To keep your ‘Summer Glow’ all winter long! 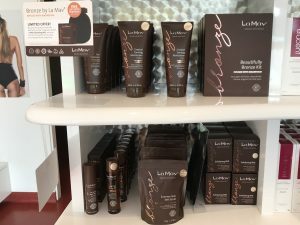 La Mav have an Exfoliation Mitt and a Salt Scrub for your choice of exfoliation methods to rid your skin of dead skin cells and allow the tan to be applied evenly. Buff and glow! Our multi-tasking mitt smoothes skin, improves tone, buffs blemishes and improves the appearance of cellulite. Your daily weapon to promote fresh, flawless, glowing skin. Smooth, nourish and even skin tone with the Summer Skin Salt Scrub, exclusive to the Bronze by La Mav Self-Tanning range. Ingredients including Pink Himalayan Salt, Camellia Oil, Coconut Oil and Magnesium Chloride (20%) remove old tan and flaky skin, improve circulation and reduce the appearance of cellulite. Use year-round for glowing summer skin. 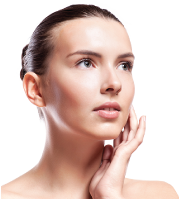 Here at DepSkin we have a range for the face and the body to give you that even summer glow. Ready, set, glow! Deeply hydrate with Argan Oil and Macadamia Oil. Get glowing with a honeyed bronze tan infused with Magnesium and Green Tea Extract to nourish skin and extend the life of your tan. Dries immediately. No staining, no smell, no fuss. Just gorgeous, glowing skin with a light sheen. Tan Extender firms, nourishes and hydrates the skin for a tan that lasts! Aloe Vera Leaf Juice, Coconut Oil, Shea Butter, Macadamia Oil and Avocado Oil deeply moisturise the skin to extend the life of your tan. Infused with Magnesium and Vitamin E for smooth, supple, glowing skin in just one application. For a gorgeous tan all year round, our Beautifully Bronze Kit contains everything you need to tan, prep and glow. Infused with Magnesium and clinically proven Bio-Actives, Bronze by La Mav is your passport to an endless summer.